Empowering individuals, children and families; lighting their path to stability and hope through counseling, adoptions services, and community outreach. 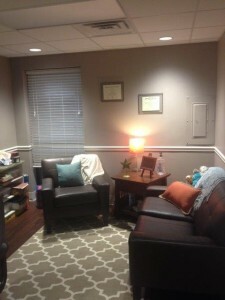 In 2008 we expanded our child and family counseling expertise to a new level by gaining proficiency in an emerging trauma therapy showing great promise. Our “trauma specialization” then led to work with many children, as young as one year of age, who have experienced physical, sexual, or emotional traumas. As word of our trauma expertise spread throughout the community, referrals began to explode as this unmet need came to light. We developed even stronger partnerships with local agencies and other community organizations to meet the needs of children. Foundations and other funding partners have responded to our significant results with much-needed resources. Lampion Center continues to provide counseling for children and adults from all walks of life, and with all types of issues, as we have for over 100 years. Our trauma specialization shows that, as called by our mission, we continue to grow and respond to the emerging needs of our community. Relationships make the world go round for Lampion Center. Our Counseling Services, Community Partnerships, and Recruitment and Retention of Staff, Board and Volunteers all center on relationships. Highly functioning relationships have attributes that help us fulfill our mission, and this is key to how we approach our work and our role in strengthening individuals, families, and the community. A side benefit is that these relationships are very gratifying, both personally and professionally. We have woven into our fabric attributes such as: SHARING. Sharing time, conversation, skills, vision, expertise and enthusiasm with our board, staff, and organizations throughout the community. OPENNESS… To needs, opportunities for interaction, and suggestions made by others. LISTENING… For the details, strengths, and cross-over opportunities for collaboration inside and outside of our walls. BEING PRESENT… Really being present with the intersection of where our service and our mission crosses paths and integrates with the mission and service of others. Our agency is now known as one of the most collaborative in the area. It has become part of our brand. It is who we are.